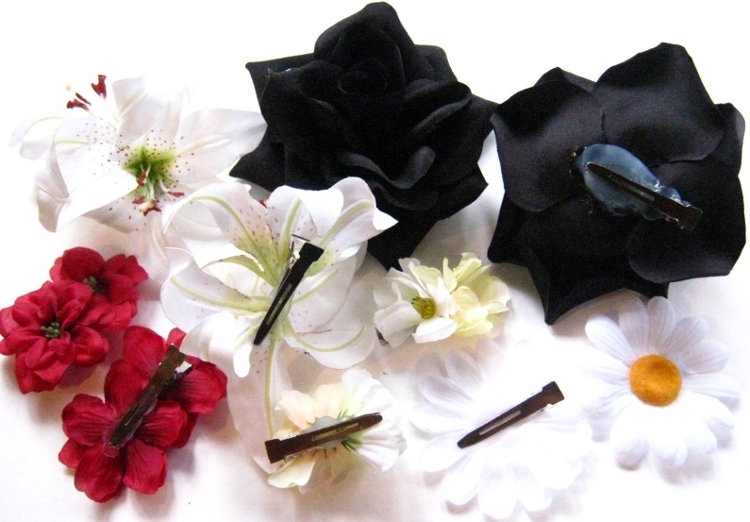 Flower hair clips/ hair flowers with 1 tender orchid blossom each, attached to professional metal hair clips for very strong hold (minimum hair length: 5 cm/ 2 inches). 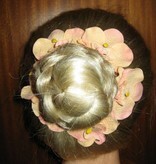 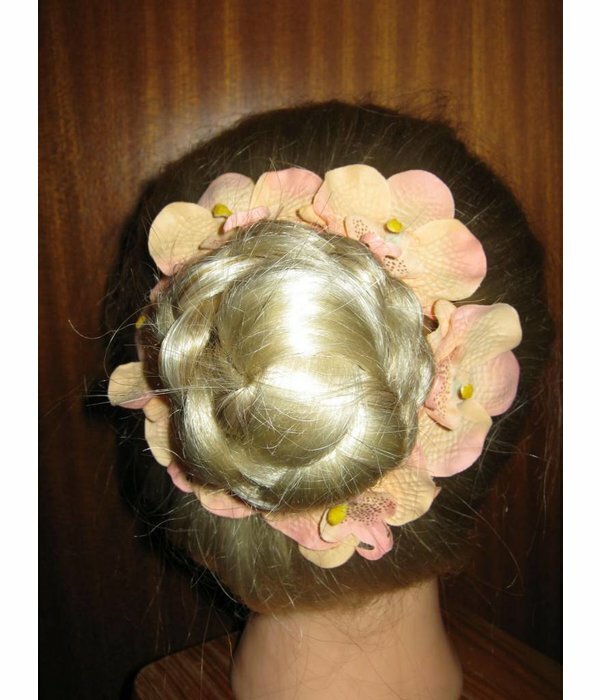 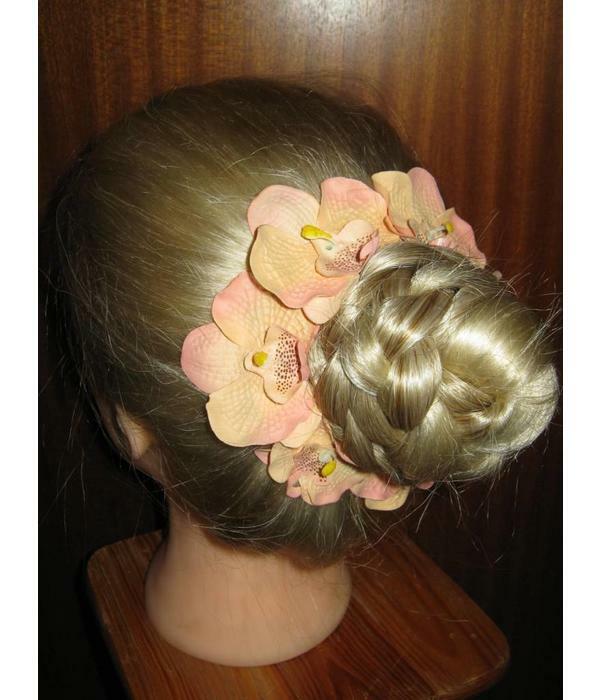 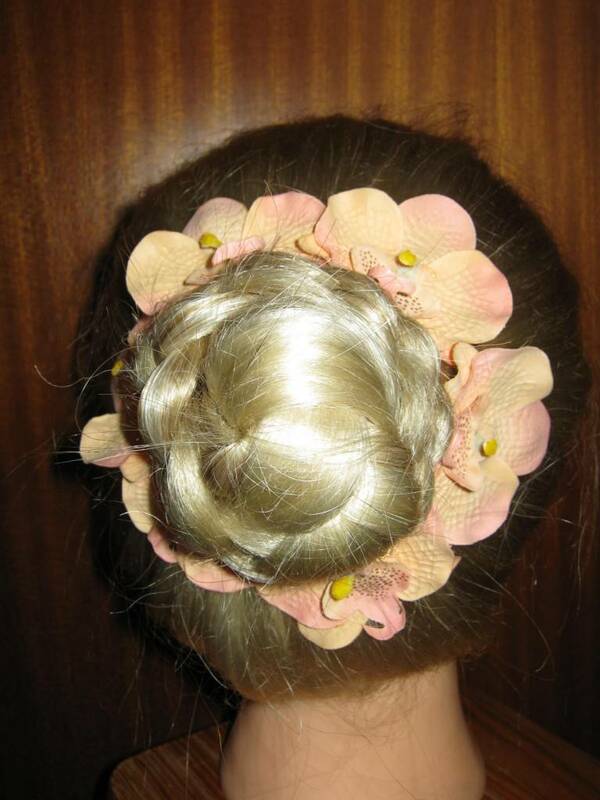 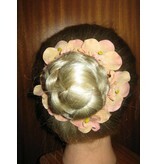 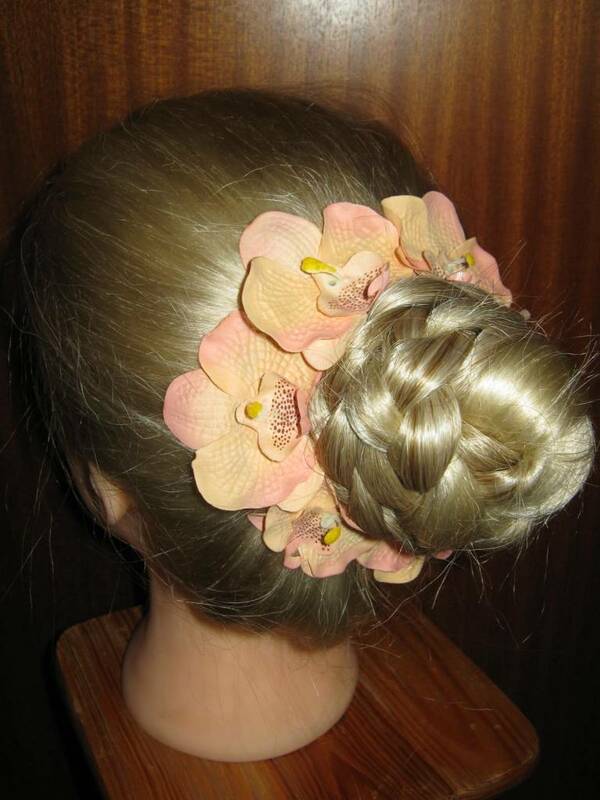 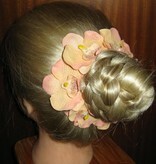 The material is velvet-like, these hair flowers are small but precious! 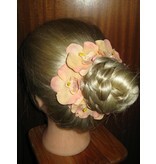 Size: about 5 cm/ 2 inches in diameter.